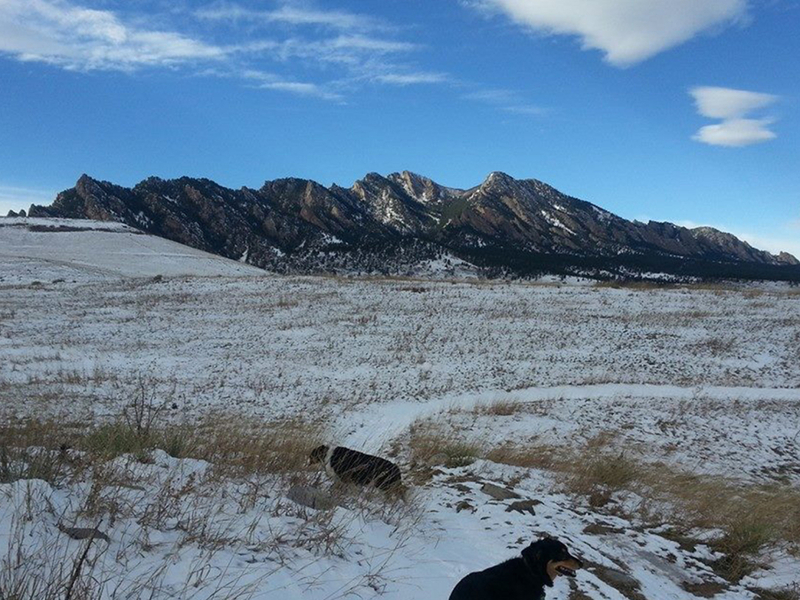 Dogs must be on leash unless they meet the city of Boulder’s off-leash requirements. Doudy Draw’s network of trails in south Boulder are fun to ride anytime of year but they will do your fat bike proud when there’s snow on the ground. There’s likely to be a mix of snow, ice, dirt and mud -- all ingredients that fat, knobby tires will gobble up with delight. With the completion of the Highway 93 underpass in November 2014, it’s now possible to link up Doudy Draw to Marshall Mesa. That means an expansive amount of trails are available -- well over 20 miles, not to mention fun loops at Flatirons Vista and Springbrook Trails. The sheer number of trails to connect means your ride can be less than an hour or all day. Connecting Marshall Mesa’s network of eastern trails means you can ride from Boulder all the way to the town of Superior. Taking the Greenbelt Plateau Trail to High Plains also bypasses Boulder’s enormous windfarm -- the towering wind turbines are impressive close up. For a quicker loop, zipping around the Springbrook Trail is a fun way to burn some winter calories in a short time. 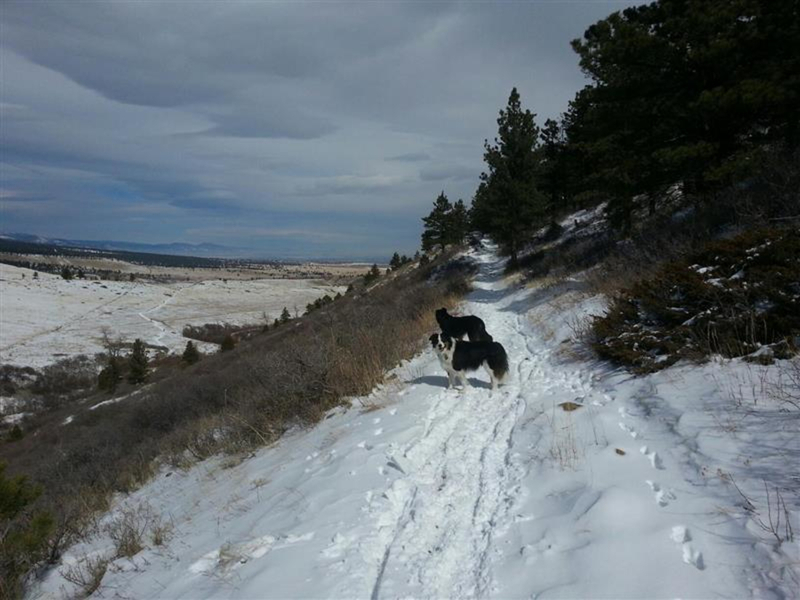 The vast majority of the trails are a combination of dirt roads and technically simple paths, though there are a few sections that will get you on your toes, specifically on the connecting hill between Doudy Draw and Flatirons Vista and a few shady sections of the Springbrook Trail. Icy patches are par for the course during melt/freeze cycles, so be ready for them during spells of alternating warm and cold weather. No matter what trails you decide to explore, the views are some of the very best in Boulder. From the upper Mesa, views extend from Longs Peak to the north to the city skyline of Denver to the east. Unlike the mountainous trails to the west of town, the terrain is mostly open prairie interspersed with patches of pine forest. On a bluebird clear winter’s day when there’s a fine chill in the air, the white snow and the low-wattage seasonal sun is a true fat biking treat. Fat Bikers who are into long, tour-worthy days will love the accessibility and sheer beauty of Boulder’s less rugged trails. There’s a lot of ground to be covered and plenty of looping options. Though it’s a popular trailhead, crowds quickly disperse. And when your ride is done, there’s lots of good food options five minutes down the road in town (Abo’s Pizza is a great post-ride meal).